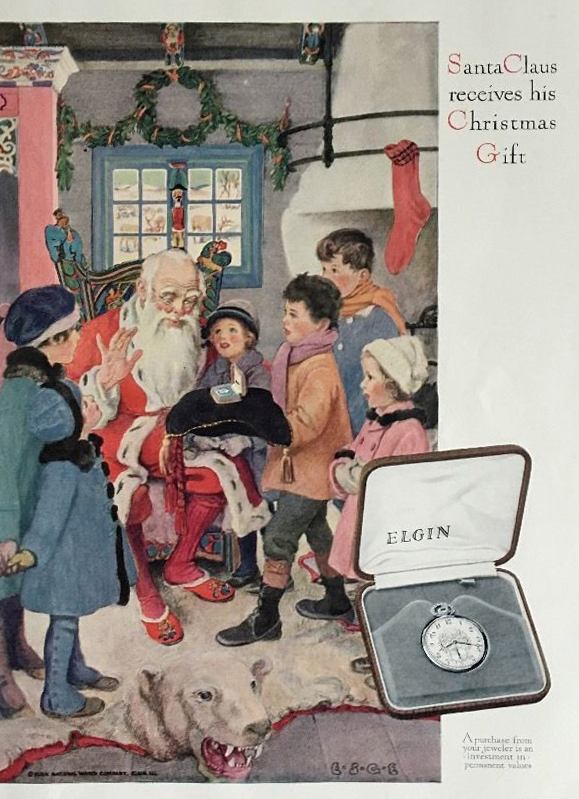 Nostalgic Elgin Watch Company Christmas advertisement, circa 1926. SVW Calendar Girl Miss Sophia Espinal is bundling up with her ’40s era platinum Hamilton wristwatch. 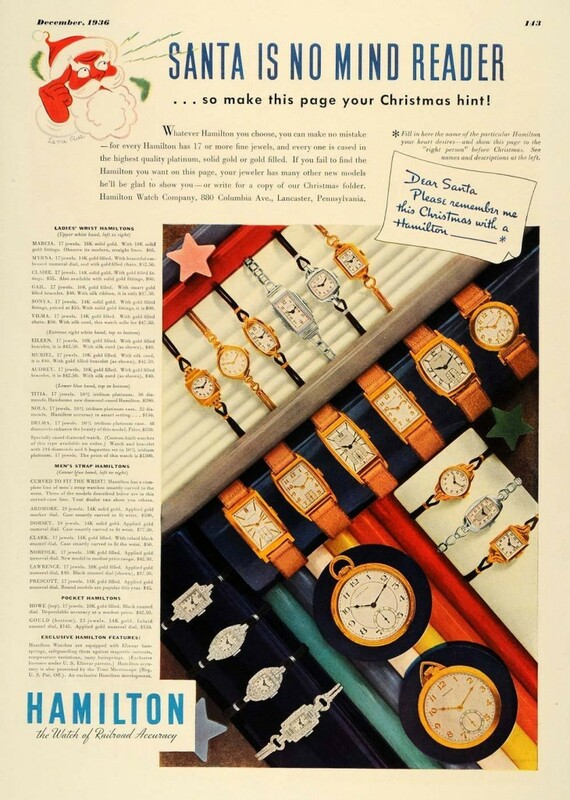 Colorful Christmas advertisement from the Hamilton Watch Company, circa 1936.